Jason De Leon, left, Shari Ex (center) and Krista Calvo look at the remains of Pig No. 3, one of four pigs they posed June 20, 2018, in the desert near Arivaca, Arizona. The Undocumented Migration Project looks at how pigs decompose and how animals ravage the carcasses to determine what might happen to migrants who die in the desert. Shari Ex notes observations on Pig No. 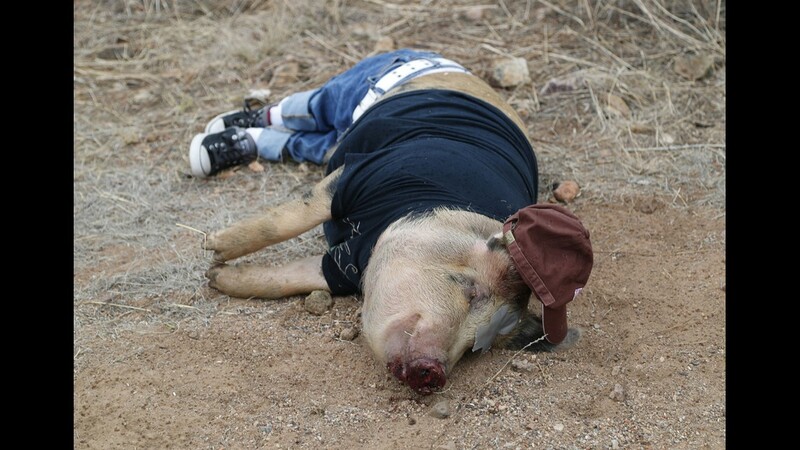 1, one of four pigs clothed and posed June 15, 2018, in the desert for an experiment near Arivaca, Arizona. The Undocumented Migration Project examines how pigs decompose and how animals ravage the carcasses to determine what might happen to migrants who die in the desert. Pig No. 2, one of four pigs posed June 15, 2018, for an experiment in the desert near Arivaca, Arizona. 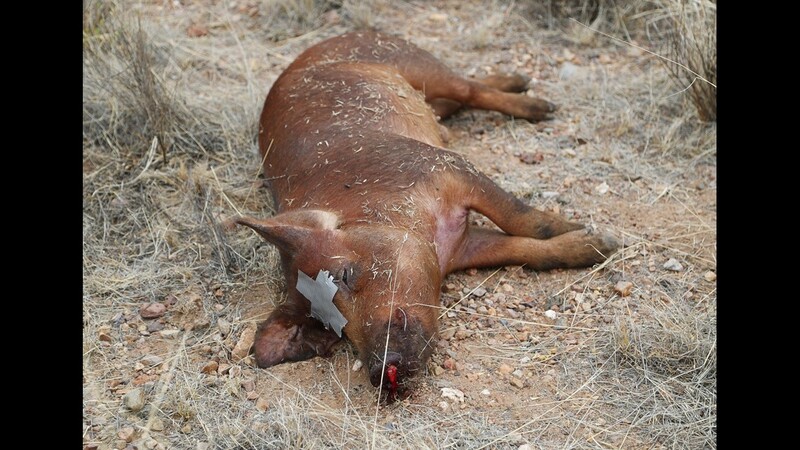 The Undocumented Migration Project studies how pigs decompose and how animals ravage the carcasses to determine what might happen to migrants who die in the desert. Pig No. 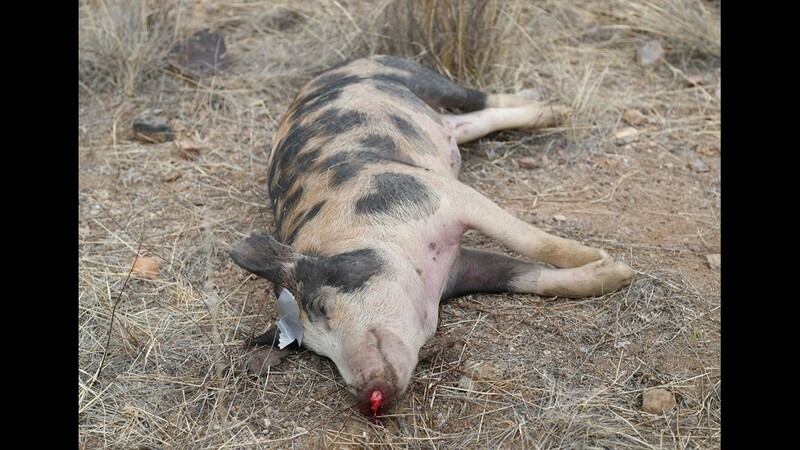 2, one of four pigs researchers posed June 20, 2018, decomposes in the desert near Arivaca, Arizona. The Undocumented Migration Project examines how pigs decompose and how animals ravage the carcasses to determine what might happen to migrants who die in the desert. Jason De Leon adjusts a field camera as Krista Calvo takes photos of one of four pigs posed June 15, 2018, in the desert near Arivaca, Arizona. The Undocumented Migration Project looks at how pigs decompose and how animals ravage the carcasses to determine what might happen to migrants who die in the desert. Pig No. 3 is one of four pigs posed June 15, 2018, for an experiment in the desert near Arivaca, Arizona. The Undocumented Migration Project examines how pigs decompose and how animals ravage the carcasses to determine what might happen to migrants who die in the desert. Pig No, 2, one of four pigs posed June 15, 2018, for an experiment in the desert near Arivaca, Arizona. The Undocumented Migration Project examines how pigs decompose and how animals ravage the carcasses to determine what might happen to migrants who die in the desert. Jason De Leon takes a photograph while Shari Ex notes observations on Pig No. 2, one of four pigs they posed June 15, 2018, for an experiment in the desert near Arivaca, Arizona. The Undocumented Migration Project examines how pigs decompose and how animals ravage the carcasses to determine what might happen to migrants who die in the desert. Pig No. 1, one of four pigs posed June 15, 2018, for an experiment in the desert near Arivaca, Arizona. The Undocumented Migration Project examines how pigs decompose and how animals ravage the carcasses to determine what might happen to migrants who die in the desert. 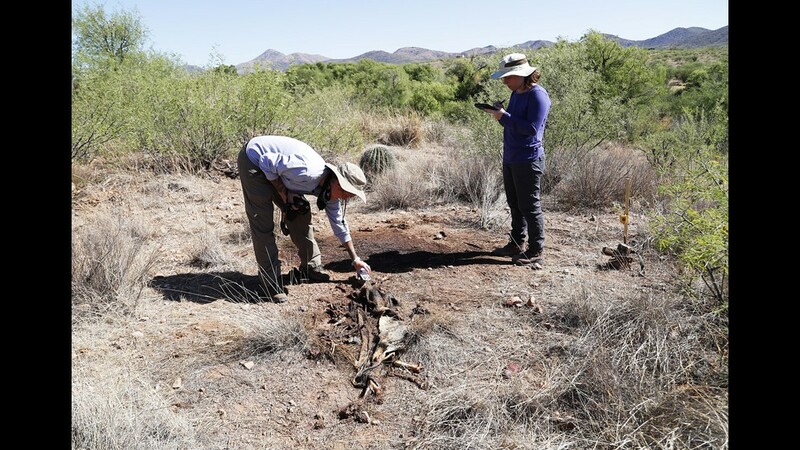 Shari Ex stands over the remains of Pig #3, one of four pigs researchers posed in the desert near Arivaca, Ariz. June 20, 2018. The Undocumented Migration Project looks at how pigs decompose and how animals ravage the carcass to determine what might happen to migrants who die in the desert. Pig #4, one of four pigs posed in the desert for an experiment near Arivaca, Ariz. June 15, 2018. The Undocumented Migration Project looks at how pigs decompose and how animals ravage the carcass to determine what might happen to migrants who die in the desert. 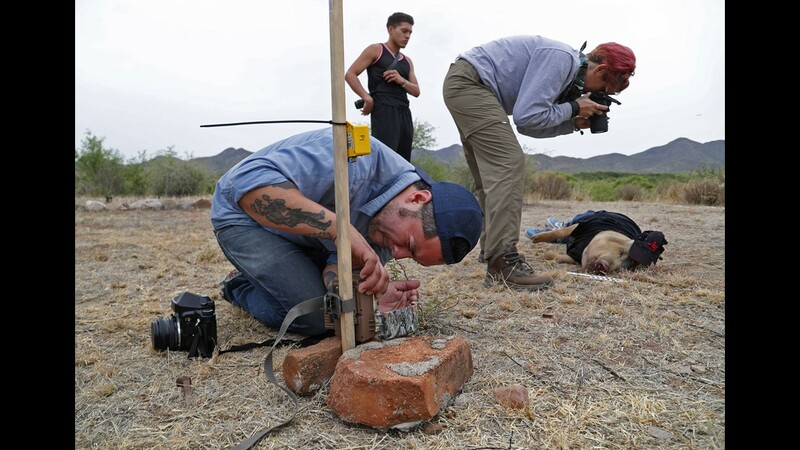 Jason De Leon adjusts a field camera as his team as other researchers take photos and observations on one of four pigs they posed in the desert near Arivaca, Ariz. June 15, 2018. The Undocumented Migration Project looks at how pigs decompose and how animals ravage the carcass to determine what might happen to migrants who die in the desert. Krista Calvo (left) and Shari Ex conduct studies on one of four pigs they posed in the desert near Arivaca, Ariz. June 20, 2018. The Undocumented Migration Project looks at how pigs decompose and how animals ravage the carcass to determine what might happen to migrants who die in the desert. 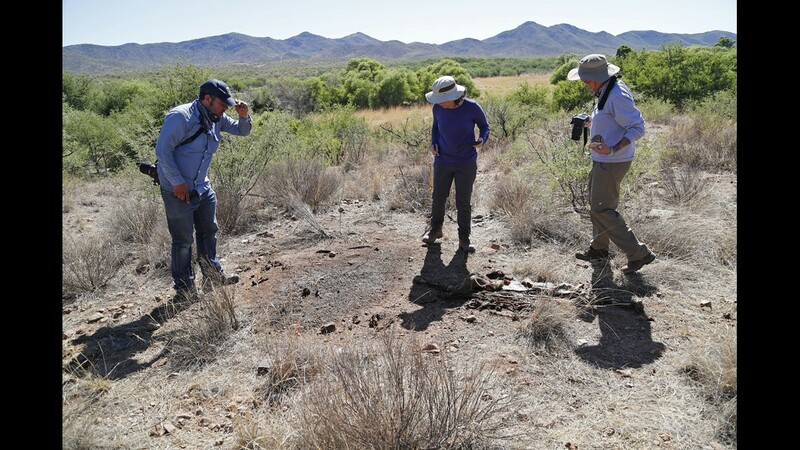 ARIVACA, Ariz. – A team of researchers had a whodunnit on their hands. 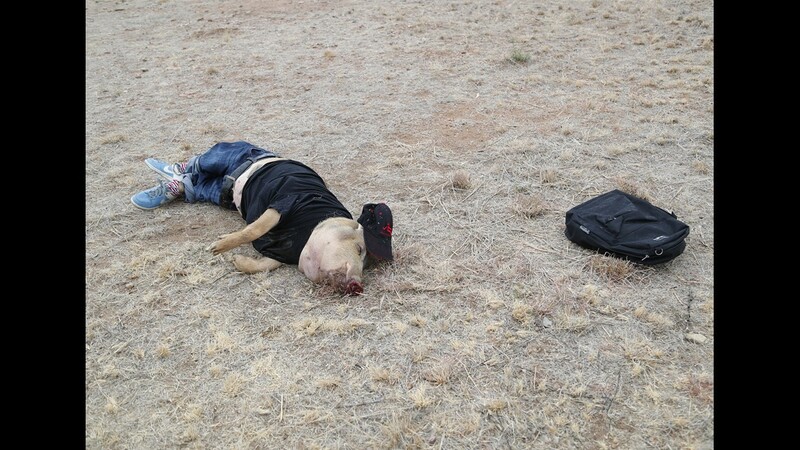 They had placed four pig carcasses in the searing southern Arizona desert about 10 miles from the U.S.-Mexican border. Six days later, one – what had been a 170-pound adult pig – had vanished overnight. 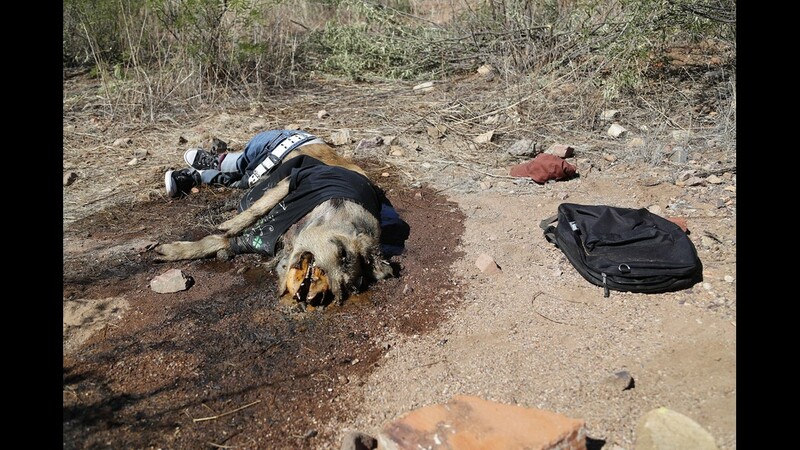 The dead pigs were there to help researchers study what happens to the thousands of migrants who have perished in the Sonoran desert. Two were clothed in shoes, pants and shirts typical of Mexican and Central American migrants. 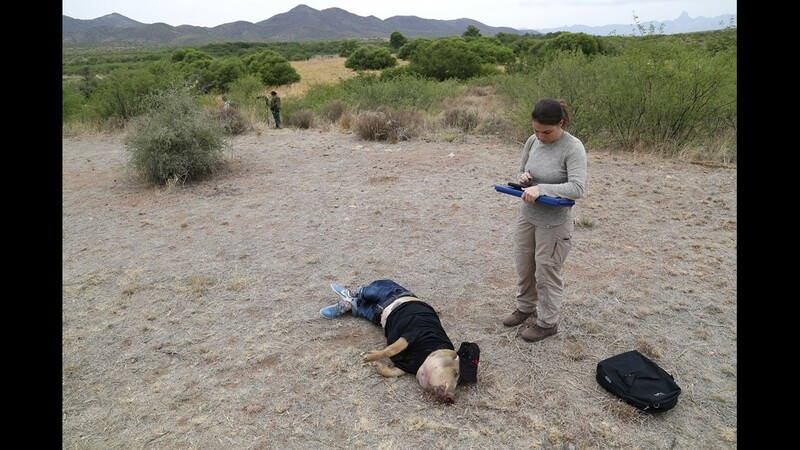 The team of forensic anthropologists turned to a trail camera set up to monitor scavenging and decay to solve the mystery of Pig No. 4. It had malfunctioned. So, they speculated: Vultures weren't big enough to carry off anything more than small pieces of flesh. Neither were the rats spotted earlier gnawing on the carcass or a possum seen in the area. Some joked it was Bigfoot, evidenced by the camera's malfunction at the precise moment Pig No. 4's carcass was carried away. Could it be one of the coyotes that the cameras had captured scavenging the past several nights, they wondered? Was it a band of coyotes? "It's just a big wet spot," Krista Calvo, a graduate student at University College London, said of what was left of the pig. "It looks like a crime scene." A University of Michigan associate professor, Jason De Leon, is trying to solve a bigger mystery. His experiments with dead pigs could illuminate the fate of migrants who die crossing the border, including many whose bodies never are recovered because of scavenging and the elements. The pigs would be scavenged in a similar manner. "If you can imagine that this happens to people, it's incredibly disturbing," said De Leon, the director of the university's Undocumented Migration Project. "We have a humanitarian crisis, and we need better scientific data. These animals are filling in for humans who are disappearing and dying in the desert." ► June 25: Why are thousands of immigrants fleeing their home countries? A 2017 Arizona Republic and USA TODAY NETWORK investigation highlighted the lack of information about the thousands of lives lost on the border. The investigation found U.S. Border Patrol's official tally significantly undercounts migrant deaths because the agency tracks only bodies that its agents encountered, not those others found. In three of the four U.S. states that border Mexico – Arizona, California and New Mexico – the investigation found migrant deaths exceeded the official count by 25 to nearly 300 percent. Record keeping in Texas was so haphazard that the true number of deaths there couldn’t be counted. The USA TODAY Network investigation, part of a series recognized with a Pulitzer Prize, also found the absence of a full accounting of border deaths deprives policymakers of information that could save lives and improve border security. Pigs are physically similar to humans. They have a similar fat distribution, body hair, skin and organ structures, De Leon said. "They are about as a close as we can get to a human body," he said, especially in Arizona where researchers don't have access to human bodies to study in the harsh and wild conditions. ► June 22: What happens when migrants seeking asylum get to the border? 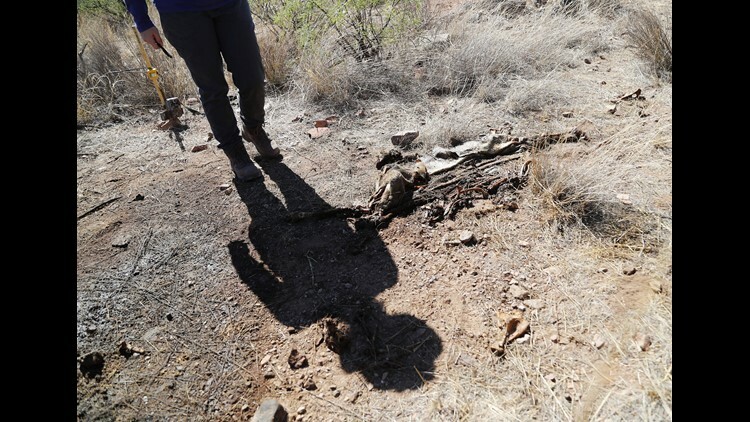 In other places in the Southwest, scavenging experiments can be carried out at "body farms" populated with the corpses of people who donated their bodies to science after death. Kate Spradley, associate professor of anthropology at Texas State University in San Marcos, has run similar scavenging experiments with donated human bodies. "Families (of migrants) have the right to know what happened to their loved one," she said of her research. "These cases deserve the same respect that everybody in this country gets. That's just how you treat the dead." 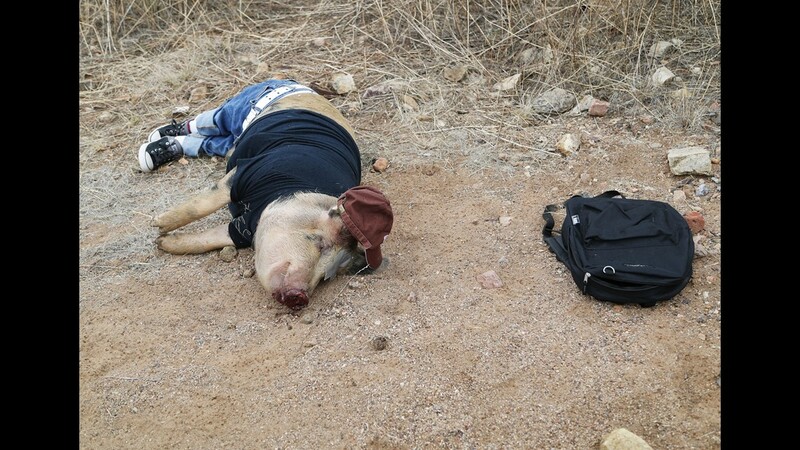 The Arizona researchers further approximated how migrants die in the desert by dressing two of the four pigs in clothes – shirts, hats, jeans, underwear and shoes. 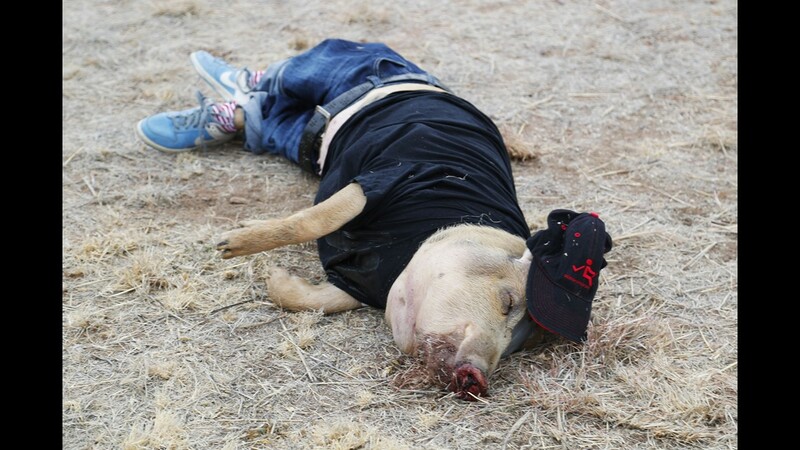 The clothing was "to keep us grounded in the fact that these are proxies for human beings," said Shari Ex, a University of Tennessee graduate student doing her thesis on how the pigs decompose and are scavenged in the desert. "Human beings are going to be wearing clothing. They are going to be carrying personal items with them," Ex said. "And so, we thought ... it was important to recreate that as part of the experiment." About six hours after finding that Pig No. 4 was missing, researchers discovered clues about its fate during their afternoon rounds to examine the carcasses. "Oh, here we go. I found part of the vertebrae. There's its jaw," one of the researchers shouted. Nearly 50 feet from where the pig had been killed, the anthropologists had found the lower jaw. The flesh was gone and many teeth were missing. Other bones were strewn down a rugged hillside covered in mesquite shrubs, wild grasses and jagged, fist-sized rocks. In a line running down the hill were leg bones still connected with ligaments, a vertebra, a rib, another vertebra and more ribs. The terrain grew too rugged to continue the search. The skull never was found. This was the third time De Leon has run experiments with pigs in the Arizona desert. Researchers noted that the two pigs dressed in clothing had sustained much less scavenging than the other two in the first six days. But the scavenging process was slower this year because it had rained just as the pigs were placed in the wild. The hotter it is, the sooner scavenging occurs, De Leon said. In experiments in 2013, the weather was hot with no rain. Scavenging started in 36 hours and some of the pigs became skeletons within 24 hours. That Pig No. 4 was carried so far in a matter of days shows "when a body is found in the desert that isn't necessarily the location of where they died," Ex said. "We expected that the scavenging would disperse skeletal elements along the way," Ex said. "But I don't think anyone expected that an entire body would be completely missing." Pig No. 4's remains were carried up to 100 feet from the death site after six days, showing how challenging it is to find and identify deceased migrants, De Leon said. That's especially true when the remains are pulled away from the personal items most likely to identify them. Forensic anthropologists can draw conclusions from a skull, pelvis or long bone, but at that point, it's "just your best guess," Ex said. "You're extremely limited if you just find a bone." Spradley has seen similar scattering from vultures at her Texas body farm. She started experiments involving vultures after realizing something was scavenging on the human bodies almost immediately after the body farm was set up. The body farm is fenced to prevent most animals from entering, so she quickly realized it was the work of vultures. "They can render a body to a skeleton in about five hours," with up to 35 black vultures feasting on a human body at once, Spradley said. In one study, Spradley found vultures displaced bones from a human body over a 900-square-foot area. The more bones are scattered, the harder it is to build a biological profile and identify a body, Spradley said. Gregory Hess, chief medical examiner of the Pima County Medical Examiner’s Office, said his office has examined more than 2,000 migrants in the past 20 years that have been through the same process as the pigs. In 2017, 44 percent of the 128 remains of undocumented border-crossers recovered in Pima County, where Arivaca and Tucson are located, had been in the desert longer than six months. Twenty-one percent had been in the desert for about three to six months. Only 15 percent were found after less than three weeks. "It makes it more difficult to identify people because you have much less to work with," Hess said of the skeletal remains. "They're not protected from the elements or insects or animals." The time and date of death on migrant death certificates documents when remains were found because there's no way to know exactly when the people died, Hess said. De Leon's experiments with pigs, and especially what happened to Pig No. 4, prove that the number of migrants who perish in the desert has been vastly undercounted, he said. Many are identified through personal effects found with their bodies. But if bones can be pulled apart and dragged 100 feet after six days, De Leon wondered what happens after six months or a year? "How far will the bones be from the belt or the shoes or the wallet?" he asked. In the 1990s, the Border Patrol pursued a strategy, called Prevention Through Deterrence, to build fences and deploy agents in cities such as El Paso, Texas, and San Diego. That drives migrants and smugglers into more remote terrain that is less suitable for crossing. That migrants are funneled purposely to some of the most dangerous, remote and inhospitable lands in the United States makes it harder to find their remains, De Leon said. ► May 2017: Are asylum seekers being turned away at the border? "It happens in the middle of nowhere by design," he said. "This is one part of a larger system to make things incredibly brutal and violent for migrants." If the pig experiments make people uncomfortable, they should realize U.S government policies have created these conditions, he said. The U.S. Border Patrol did not return calls and emails for comment. "The desert will kill you. Vultures will rip you to shreds," he said. "This happens to human bodies out here all the time. ... I don't know what it's going to take to make people concerned about this."